HMA PUMPS – What is IE-2, High Efficiency? The “efficiency” describes how efficiently an electric motor transforms electrical energy into mechanical energy. Previously in Europe, low voltage three-phase motors defined for the power range of 1.1 kW to 90 kW have been graded and marketed in three efficiency classes – EFF3, EFF2 and EFF1. 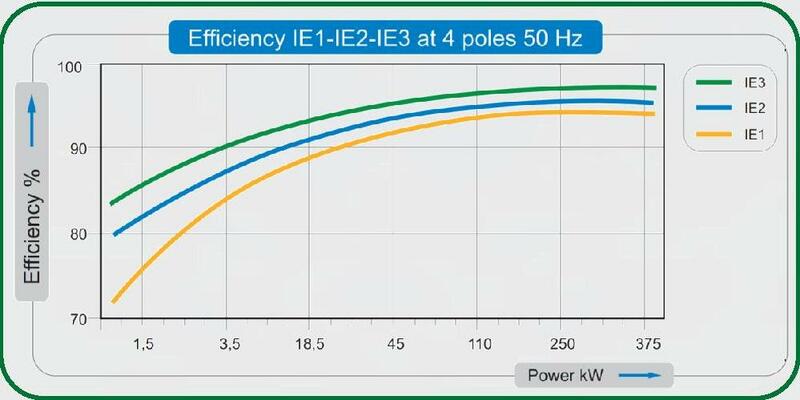 Now the new international standard, IEC 60034- 30:2008, defines efficiency classes IE1, IE2 and for low voltage three-phase motors with a power range from 0.75 kW to 375 kW. “IE“ stands for “International Efficiency“ and is combined with a number. This ensures a common international basis for the design and classification of motors. The new international efficiency class system (IE-code) has an open numbering system. 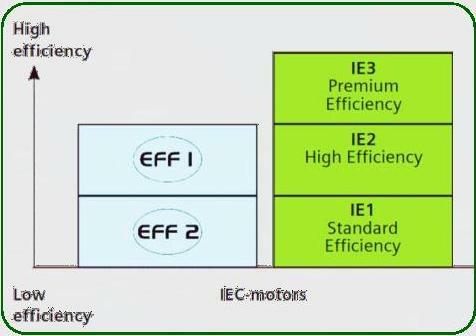 Compared to the old EFF efficiency classes, it is now easier to add future developments. In addition, there is a new class – IE3 – which did not exist in the old European EFF classification system.